The Amalaya winery, in Salta, Argentina, is owned by the Hess Family. The California producer also has branched out from Napa Valley into South Africa. Amalaya - which means "hope for a miracle" - sits a mile high in Cafayate, in northwest Argentina's Calchaqui Valley. The family contends that the high elevation of their vineyards gives the grapes a "ripe, concentrated fruit expression with brighter acidity and extraordinary balance." 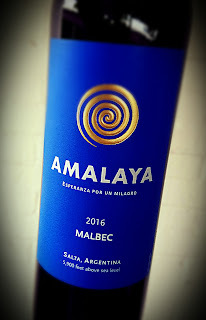 The Amalaya Malbec 2016 is a blend of grape varieties - 85% Malbec, 10% Tannat and 5% Petit Verdot. It is aged for eight months in French oak, but only a quarter of the wine sees wood. The wine's alcohol mark is just under 14% abv and it retails for $16. As you might guess, the Tannat and Petit Verdot contribute to an extremely dark Malbec wine with a powerful nose of black fruit, black tar and black pepper. A smoky quality shows up if you let sit for a bit. The palate shows much more smoothly than I expected. The tannins are firm, yet juicy. Very dark flavors dominate, with the oak showing well and a savory finish to remind you how good it was. Bordeaux needs no introduction. But they've decided to write one for themselves anyway. One that centers not on the great taste and age-worthiness of their wines, but on their affordability. It sounds a bit like a San Francisco real estate agent trying to convince us that she actually has quite a few reasonably priced homes on her list. Nevertheless, the affordability of Bordeaux wines can't be overlooked, you simply have to know where to look. 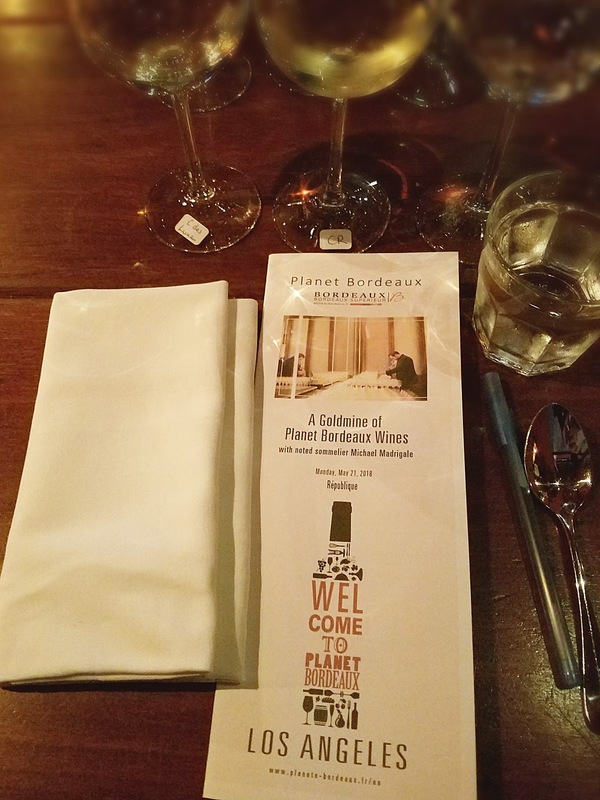 I recently attended a "Goldmine of Planet Bordeaux Wines" tasting and pairing event, which highlighted Bordeaux and Bordeaux Supérieur wines which sell for under $20. 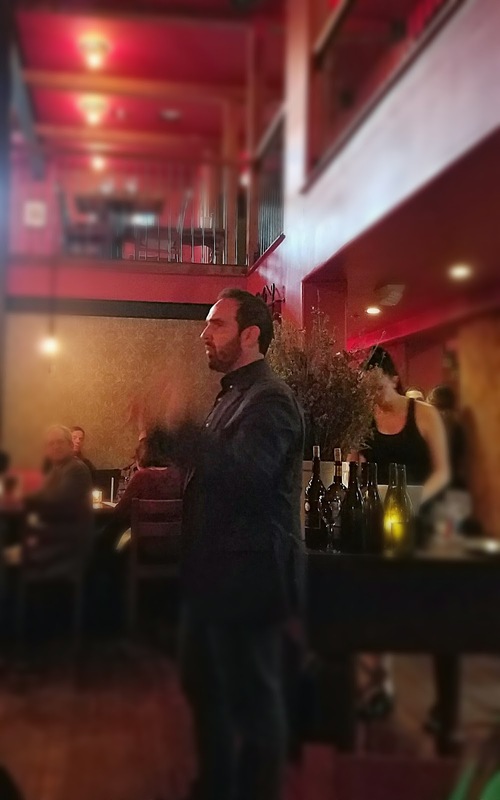 Sommelier Michael Madrigale led the event, which was held at Republique in Los Angeles. The back room was packed with writers, trade and PR people who all wanted to be surprised as Madrigale unveiled the shocks of their lives. Although most of the audience was probably hip to the notion that Bordeaux doesn't have to cost an arm and a leg, the response he got was great enough that he sometimes couldn't shout loudly enough to be heard over the roar. Madrigale said, "The perception is that Bordeaux is out of price range for most people. That isn’t true." He proceeded to taste us through a selection of fine wines which he said were under 20 bucks. All the wines were impressive, and none would have disappointed at a $40 price tag, much less $20. Republique's Dover sole with Morel mushrooms and white asparagus was paired with two Bordeaux blancs. Clos de Lunes Sauvignon Blanc 2016 offered more minerals than grassiness, but so did its companion. CDL was smoother, a Sauternes blend of 70% Semillon and 30% Sauvignon Blanc grapes, oak vinified. The Château Reynon 2016 gave heavier herbal notes, as might be expected from 100% Sauvignon Blanc grapes. The wine was made in a 50/50 mix of oak barrels and steel tanks. It was the more tart of the pair. The wood-fire grilled lamb with charred spring vegetables drew a pair of Bordeaux rouges. The Bad Boy (Mauvais Garcon) 2015 was dark with big jammy plum on the nose and bold, black fruit on the palate, which was affixed with extra tannins. The Château Lafont-Fourcat 2015 showed a nose of perfumed black currant and a palate of black and blue berries, with sweeter tannins. Both are Entre-Deux-Mers wines, from the part of Bordeaux that's "between two seas" - the Garonne and the Dordogne rivers. After dinner, the cheeses were paired with two Bordeaux Superieur selections. Château Le Conseiller 2014 had a beautiful, perfumed nose that literally smelled purple. The big, dark palate matched and the stiff tannins begged for softer cheeses. The Château La Cour d’Argent 2015 smelled of red fruit and tasted like red currant. Firm tannins paired better with the cheese, but the cranberry and walnut bread worked well with both wines. If you shop for Bordeaux with an eye on the price tag, you'll find values that will surprise. Albariño is a lovely white wine grape that is predominant in Spain's northwest corner. It's the reason they get out of bed every day in the Rias Baixas region of Galicia. Snooth staged an online virtual tasting session featuring Albariño wines from Rias Baixas, and I was lucky enough to be invited. The winery known as Condes de Albarei is located in Castrelo, a little town in the province of Ourense. The winery was founded in 1988 by a group of Salnés Valley growers who wanted to concentrate on Albariño. They picked a great place to do it, as the valley is reportedly the birthplace of the grape. Those growers still own and run the place, so much into their work that they don't appear to have a website. The estate vineyards cover more than 700 acres with mountains all around and the Umia River running through. Alcohol in the wine is customary for the area, around 13.5% abv, and it sells for $14 or less online. 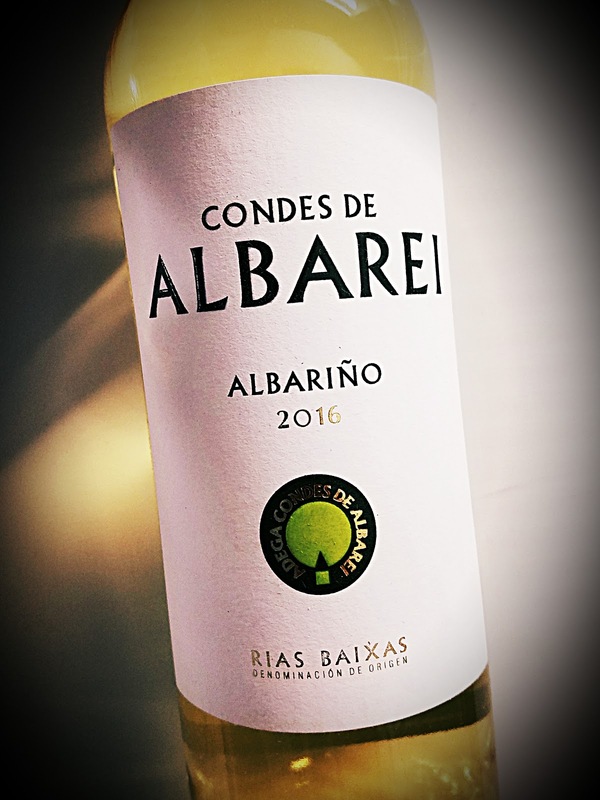 The Condes de Albarei Albariño wine is golden in the glass and smells of apricots and flowers. The citrus comes across as a mix of lemon and tangerine. On the palate, it's one of the more sippable Albariños I've tasted from the region. The acidity is fresh but doesn't rip off one's tongue. Flavors of Granny Smith apples and Meyer lemons come forward, along with some other fruits that may have been named after people. It's an earthy drink that lasts a while on the finish. 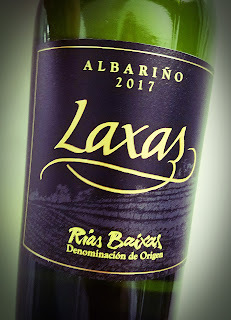 There's a Snooth virtual wine tasting coming up today that features Albariño wines from Spain's Rias Baixas region of Galicia. I'm tasting nearly a dozen different Albariños for that reason - not because it's spring, or because it's almost summer, or because I love Albariño. Although those are all reason enough. The Fillaboa website leads with, "Creating is not an easy task when surrounded by so much noise." That's how Bodega Fillaboa's owner decided to go for the peace and quiet of the Rias Baixas land where the 70-hectare estate is located in Salvatierra de Miño. The "good daughter" referred to in the Galician name sits set off from its surroundings by an ancient stone bridge and stands as one of the oldest and biggest estates in Pontevedra. The bodega is only 150 feet from the Portuguese border and 22 miles from the Atlantic Ocean. They also make three spirits, or aguardientes, from their Albariño grapes. The 2016 spring was rainy and the summer was the hottest and driest in the previous 50 years. Alcohol in this wine is restrained, as is customary in the region, at 12.5% abv. 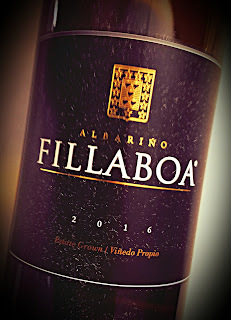 If this Albariño is an indication, the creating is very good at Fillaboa. The Fillaboa Albariño 2016 has a bit more golden tint than usual, and bit more earthiness on the nose. There’s still a bouquet of flowers to smell, along with apples and citrus. On the palate there's a soft salinity that goes along with an almost racy acidity. Green apples and limes come forth and linger on the finish. There's a Snooth virtual wine tasting coming up on Wednesday that involves Albariño wines from Spain's Rias Baixas region of Galicia. I'm tasting nearly a dozen different Albariños for that reason - not because it's spring, or because it’s almost summer, or because I love Albariño. Although each of those reasons would have been enough to convince me. The Rias Baixas Denomination of Origin was established in 1980, specifically for the Albariño grape. Of course they had been making wine in the region for centuries before. The winery credits 12th-century monks for providing inspiration to this day. About a dozen grapes are permitted for making wine. The winery is a former Galician ancestral country home (pazo) in the village of Señoráns, but it's not known which was named for which. The vineyard's soil is largely broken down granite, which lends a strong mineral sensibility to the vines. 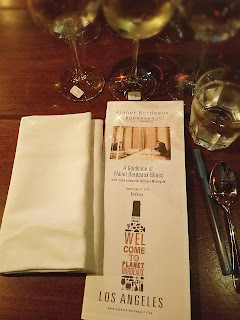 In addition to its line of Albariño wines, the bodega also features a distillery where they make a sort of Albariño brandy called aguardientes. One variety is brilliantly golden while the other is clear. Both are 100% Albariño, the golden one is made with skin contact, anise and cilantro seeds. I did not taste them, but they sound quite interesting. The wine is made in stainless steel tanks and alcohol hits the usual 12.5% abv. It sits on its lees during vinification, and that imparts a bit fuller mouth while maintaining that amazingly fresh acidity. This Albariño shows lemon, lime and lanolin on the nose, with a whiff of apricot. The pale color is golden straw, and the palate comes forth with a mighty acidity and a mouthful of green apples, on the tart side. 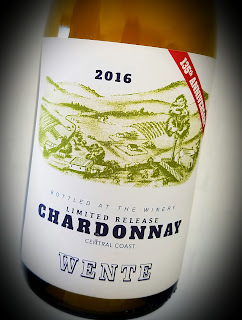 Minerality makes a big play, and the finish is medium-long with a citrus zestiness. A virtual tasting session is coming on May 16th that involves Albariño wines from Spain's Rias Baixas region of Galicia. It's being put on by Snooth and I'm tasting nearly a dozen different Albariños for that reason - not because it’s spring, or because it’s almost summer, or because I love Albariño. Although each of those reasons would have been enough of a convincer. Spain's Rias Baixas Denomination of Origin was established in 1980, specifically for the Albariño grape. Of course they had been making wine in the region for centuries before. In fact, the winery credits 12th-century monks for providing inspiration to this day. About a dozen grapes are permitted in Rias Baixas for making wine. Bodega Altos de Torona is located a stone's throw from the Miña River and slightly harder toss from the Atlantic Ocean. The vineyard's position on the south-facing slopes shields it from the cold, wet weather found on the other side. 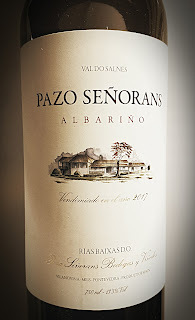 Winemaker Pablo Ibañez fermented this 100% Albariño wine in stainless steel to an alcohol level of 13% abv. 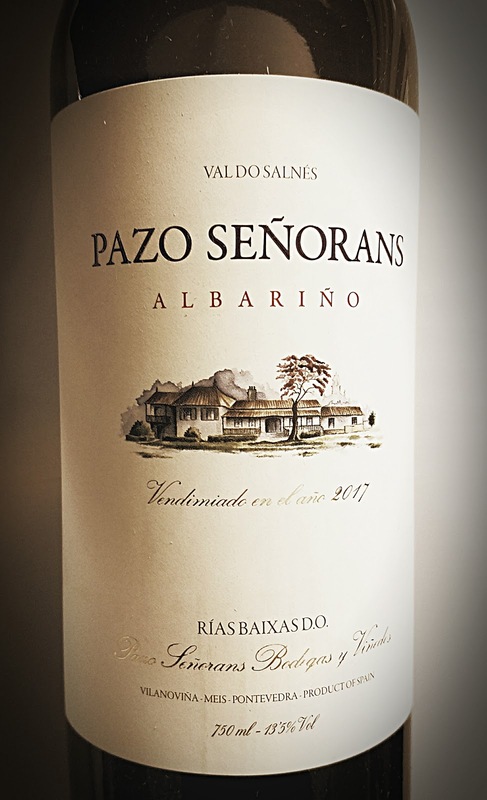 This pale Albariño has a citrus-first nose showing lemons, peaches and twist of tangerine. The palate displays tart apples, lemon zest and some white pepper. The acidity is fresh and the wine finishes very clean, with minerality lingering after the sip. There's a Snooth virtual wine tasting coming up on May 16th which will involve Albariño wines from Spain’s Rias Baixas region of Galicia. I'm tasting nearly a dozen different Albariños for that reason - not because it's spring, or because it's almost summer, or because I love Albariño. Although each of those reasons would have been enough to convince me. The Laxas bodega has been in the family since 1862, and they watch over their 13-acre estate vineyard with careful eyes. The vines grow on steep terraces which look south over the Miña River in sandy, mineral-laden soil. Winemaker Jorge Dominguez Hervella works with great fruit and makes the most of it, producing an Albariño that speaks of its land. Alcohol on the 2017 Albariño checks in as 12.5% abv and it sells for around $18. 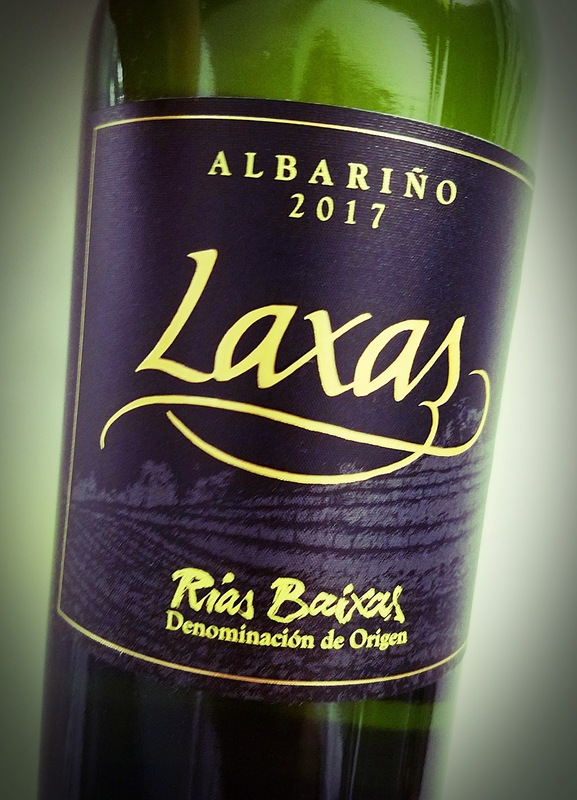 The 2017 Laxas Albariño is a pale yellow wine which has an interesting nose full of lemon-lime, apricot and a lanolin note. A bit of earth peeks out amid the smell of white flowers. The mouth is rather full, yet the acidity is fresh and zingy. Lemony and tropical fruit flavors abound in a mineral-laden palate and leave me craving a calamari and scungilli salad. 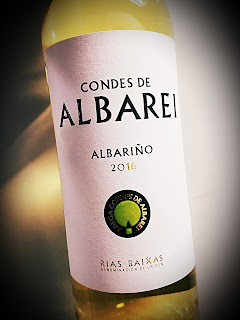 There's a Snooth virtual wine tasting coming up on May 16th that involves Albariño wines from Spain's Rias Baixas region of Galicia. I'm tasting nearly a dozen different Albariños for that reason - not because it's spring, or because it's almost summer, or because I love Albariño. Although each of those reasons would have been enough of a convincer. I'll keep you posted on details, but it's usually easiest to jump on Twitter and join the fun. 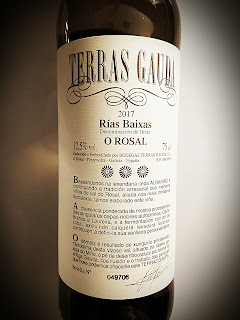 Bodegas Terras Gauda makes their O Rosal Rias Biaxas from grapes grown in one of the subregions of Rias Baixas, O Rosal. It's a little piece of land butted up against the Miño River to the south and the Atlantic Ocean to the west. Terras Gauda has three wineries and a vegetable cannery under its corporate umbrella. The O Rosal Valley winery is a couple of decades old and now produces about 1.5 million bottles of wine each year. This Albariño blend is their flagship wine. 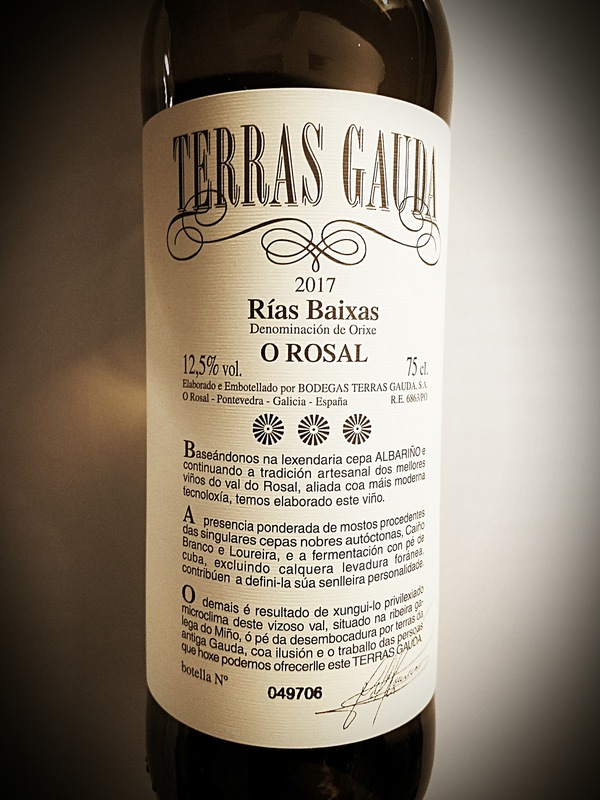 The Terras Gauda O Rosal Rias Biaxas White Wine is not a varietal wine, which is how Albariño grapes are often vinified. This one is 70% Albariño, 20% Caiño Blanco and 10% Loueira, the latter two grapes being found in the northeastern corner of the Iberian peninsula. Its alcohol content is low at 12.5% abv and it sells for as little as $12 online. This wine has a lovely golden-green hue and a brisk nose of stone fruit, Meyer lemon and flowers. The palate shows those qualities plus a hefty load of minerals and acidity, enough to make oysters a great idea. Albariño is a lovely white wine grape that is predominant in Spain’s northwest corner. It's the reason they get out of bed every day in the Rias Baixas region of Galicia. It's also the driving force behind a winery known as Adegas Galegas. If you know the area, the company is in Salvaterra do Mino, nudged up against Portugal's northern border. 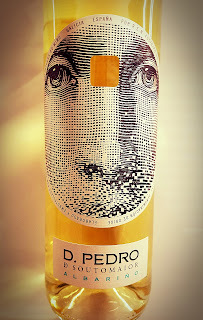 The firm's Don Pedro line concentrates on Rias Baixas and its heritage of Albariño. 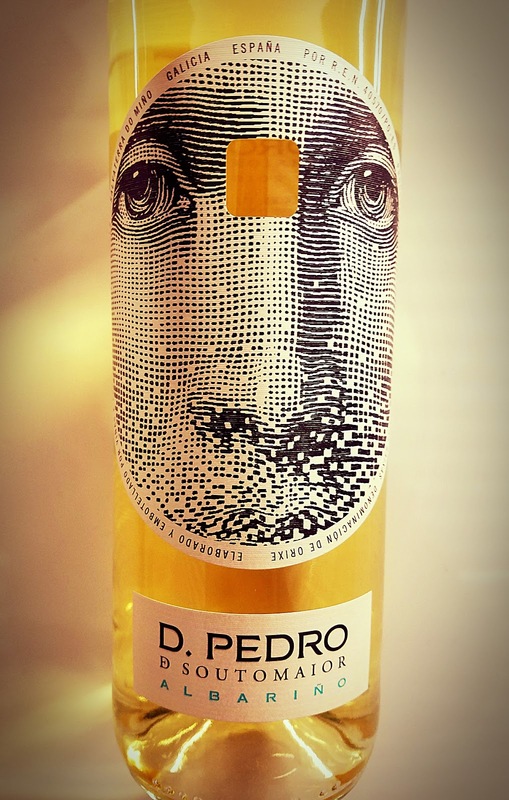 The wines are named for Don Pedro de Soutomaior, a 15th century knight and a hero of the region. There's reportedly some speculation that he was also Christopher Columbus. I could find no documentation that anyone ever saw them in the same room together, so maybe that’s true. Winemaker Asunción Carballo leads a team of people who strive to produce wines which exhibit the character of the region. She rides atop a wave of talented female winemakers in Spain. The wine's alcohol content sits at 13% abv and it sells for just under 20 bucks. 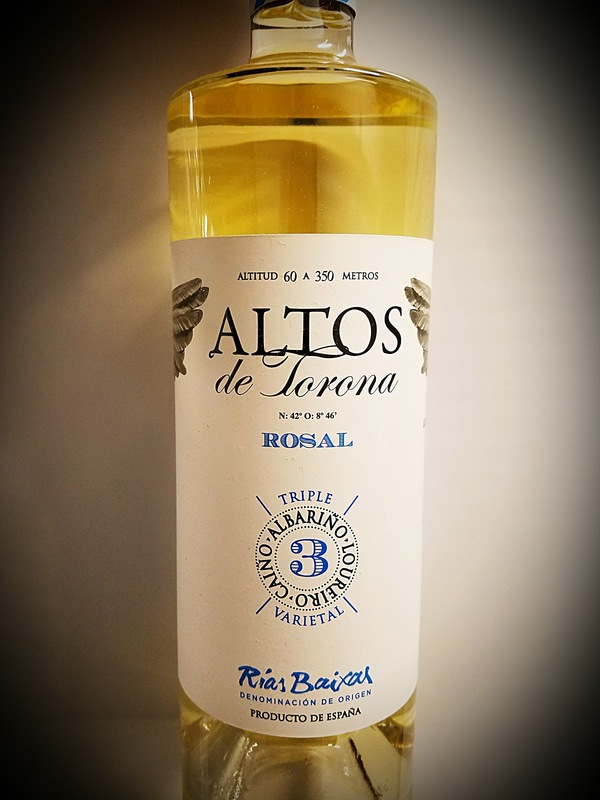 This pale wine, the Don Pedro de Sotomaior Rias Baixas Albariño 2017, is subtle on its nose, with very light aromas of citrus and wet rocks. The sniff is not rendered tart by those descriptives, however. There is a softness to it that takes the edge away. The palate is another matter, as a rippingly joyous acidity makes itself known immediately. Flavors of crisp apples, lemons and a touch of orange are as vibrant as they seem here on the page, like a lovely spring day bathed in the cool wind of Galicia. The pleasure lasts long after the sip disappears. Pair this with fried calamari. The Vivanco dream began, says their website, 100 years ago when Pedro Vivanco González started a four-generation - and counting - business. Today Santiago Vivanco leads the business side and and Rafael Vivanco Sáenz makes the wine. The winery is where it has always been, in the La Rioja Alta town of Briones. 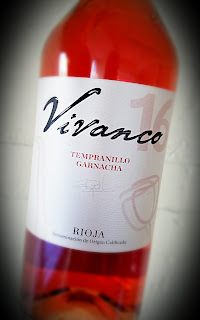 This beautiful rosé wine is made from sustainably-farmed estate grapes, 80% Tempranillo and 20% Garnacha. The wine is produced in the Sangrado method, which means the juice was captured free-run from the grapes. The 2016 vintage was a hot one in Briones, with high temperature readings every day and very little rain. This led to a harvest of concentrated grapes. The wine has an alcohol level of 13.5% abv and retails for about $15. The label indicates that the bottle design was inspired by one that's on display at the Vivanco Museum of the Culture of Wine. The Vivanco Tempranillo Garnacha Rosé Rioja 2016 has a lovely rosado color, a deep and rich pink. The nose is big and bright, full of beautiful red fruit - cherries, strawberries, raspberries - just as fresh as can be. A hint of herbs drifts over but can't diminish the ripeness. The palate is just as fruity, and the mouthfeel is zippy and tingly. The acidity is refreshing and ready for a tuna salad or even something off the grill.